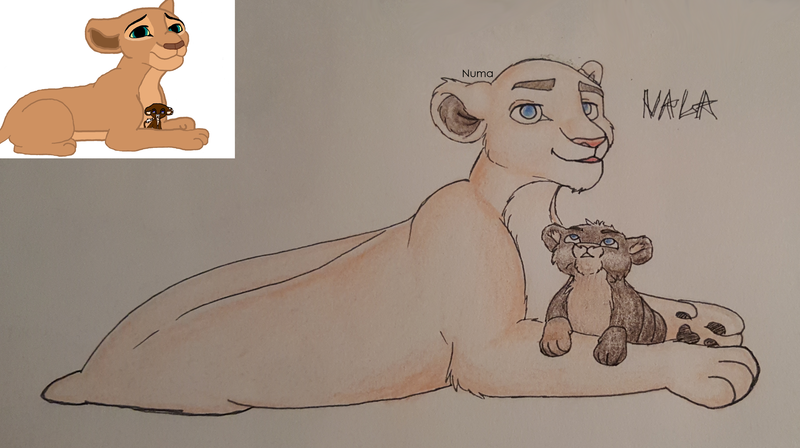 This drawing was based on a situation where Numa spoke her first words as a baby lion. I love looking at comparisions on artist's improvements. Numa looks so cute looking up at her mother. What is her mom's name? The purple eyes are unique. Numa's mom reminds me of Sarafina. Her eyes were actually meant to be blue, oops! You aren't that wrong, her mother is Nala! Nala is her mom? Thats cool. The eyes still looked pretty unique purple anyway.